It has been my privilege to serve as board president since 2007. At times it has been exhausting work, always guided by a steady commitment. We all love success stories, but our co-founder Lucy Leu, paraphrasing Mother Theresa, once said, “We are not called to be successful; we are called to be faithful.” After 6 years on the board I can say that we have remained faithful, even in the face of setbacks. How could we give up when our students told us in their evaluations about their life-changing experiences? “This program has made me look inside myself,” wrote one of the 24 men, for example, who attended a workshop last November at Twin Rivers. “I was allowed to tell my story and what has been in my heart,” said another. Over the years I also learned how important it is for prisoners to feel that they matter. Early on I introduced an exercise in which we work in pairs, taking turns to talk and to listen. Once I was paired with a prisoner who had been very detached. He told me that in the 20-plus years of his incarceration he had never had a visitor or a letter from anyone. Sharing this took courage; it allowed him to get in touch with the enormity of his pain and feeling of worthlessness. We sat in silence, yet remained connected. I could feel him release his pain; he felt understood and valued in a way he had not experienced in years. The exercise reminded me of the power of empathic listening and how we are not called to fix anyone, but to be truly present. 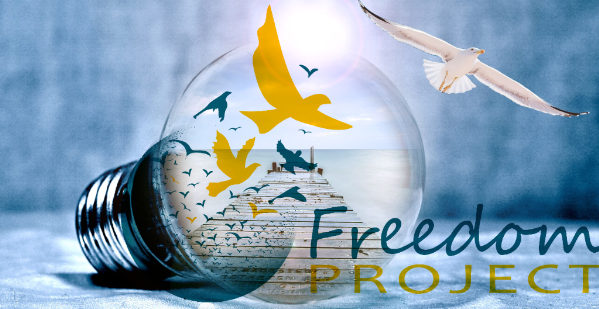 That is the power and the gift of Freedom Project.